Chileans are extremely hospitable people. The majority of the population is mestizo, a result of intermarriage between Spanish settlers and indigenous inhabitants. Chileans are also of German, Croatian, Italian, Irish, and British origin. The Araucanians of central Chile, the Changos of Northern Chile, and the Fuegians of Tierra del Fuego are three small indigenous groups of Chile, and Aymara and Diaguita groups are found in Chile's northern desert valleys. The population is 16,601,707 (July 2009 est.) and is predominantly urban. 70% of Chileans are Roman Catholic, and the rest are Protestants, Evangelical, and Jehovah's Witnesses. The official language is Spanish, but German and English are also common. Chile is divided into 15 regions, each designated by a name and Roman numeral. 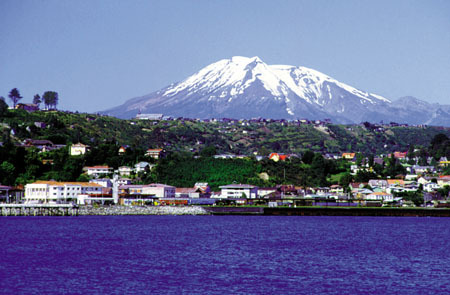 Along with Santiago, the capital of Chile, other main cities are Concepcion, Talcahuano, Vina del Mar-Valparaiso, Antofagasta, Puerto Montt, Arica, Chilean Patagonia, Castro, Portillo, Coquimbo and Temuco. Spoil yourself with Chile's incomparable scenery and such adventurous sports as swimming, skiing, scuba diving, deep-sea fishing, surfing, hiking, biking, and paragliding. Chile is located in Southern South America, bordering the South Pacific Ocean, between Argentina and Peru, with a coastline of 6,435 km. This long and narrow coastal strip of land stretches from the Andes Mountains (a virtually impassable wall of mountains formed by deep valleys and high plateaus) to the east, the Pacific Ocean to the west, the Atacama Desert (the world's driest desert) to the north, and Drake Passage to the south. 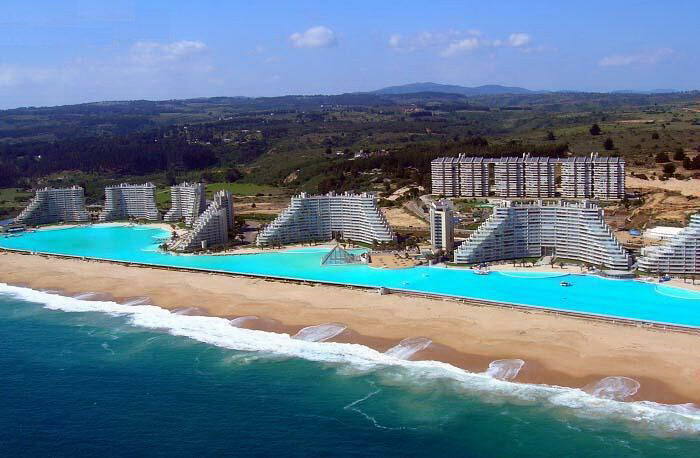 The best time to visit the south of Chile is between December and March. Winters, from July to September, are a wonderland for skiers, and middle Chile is best from September to November. Chilean history dates back several thousand years when Native Americans settled in valleys and coastal areas of present day Chile. In the late 15th century, northern Chile was under Inca rule, while the Mapuche inhabited central and southern Chile. In 1520, Ferdinand Magellan first set foot on Chile, then, in 1541, Pedro de Valdivia invaded Chile and established the city of Santiago on February 12, 1541, giving recognition to Chile as a part of the Viceroyalty of Peru. After the Mapuche insurrections in 1553, 1558 and 1655, Chile became a centralized and homogenous colony in Spanish America. To gain independence from Spain, a national junta was formed and Chile became a republic within the Spanish monarchy. Chile gained control over the Strait of Magellan through a treaty with Argentina in 1881. In the War of the Pacific (1879-1883) Chile defeated Bolivia and Peru, won its northern regions and subsequently conquered the Mapuches. Marxist groups, radicals, and conservatives ruled Chile for the subsequent years. In 1980, elections led to the formation of socialist and democratic parties. President Michelle Bachelet Jeria of the Socialist Party won office in 2006. Undoubtedly, the most famous attraction of Chile is the Torres del Paine national park covering 181,000 hectares, and includes Cordillera del Paine- a small mountain group within the park. October to April is the best time to visit this park. If you visit the XII region of Chile, you can go horse riding, mountaineering, trekking, sailing, kayaking or climbing. Another unforgettable experience is a fascinating trip to the Atacama Desert, encompassing the matchless natural beauty of miles of sparse land, salt marshlands and volcanoes. 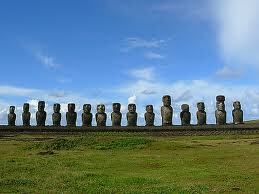 Visit the Rapanui sculptures in Easter Island, the sprawling coastal township of Vina del Mar, museums showcasing natural history in Puerto Montt, or the fertile valley between the Andes and the coast, giving way to the unique ambience of Santiago. Nightlife means a visit to some of the bars, cafes, jazz clubs, pubs, and clubs spread all over Chile. Bars fall into three categories- Bellavista, categorized by small restaurants and cafes; Providencia, characterized by American-style bars; and Nunoa, the center of Santiago's line of bars and cafes. 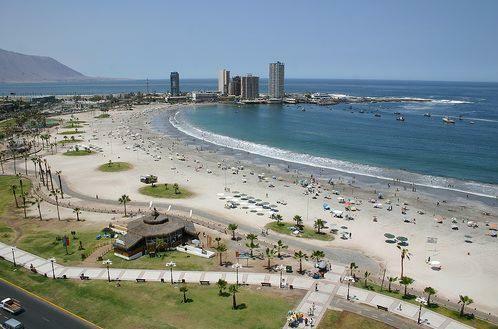 Chile also offers numerous cinemas and theatres in Trebol, Vina del Mar, La Serena, Santiago, Rancagua, and Iquique. Chile is extremely rich in culture with a mix of Spanish colonial elements and indigenous traditions. 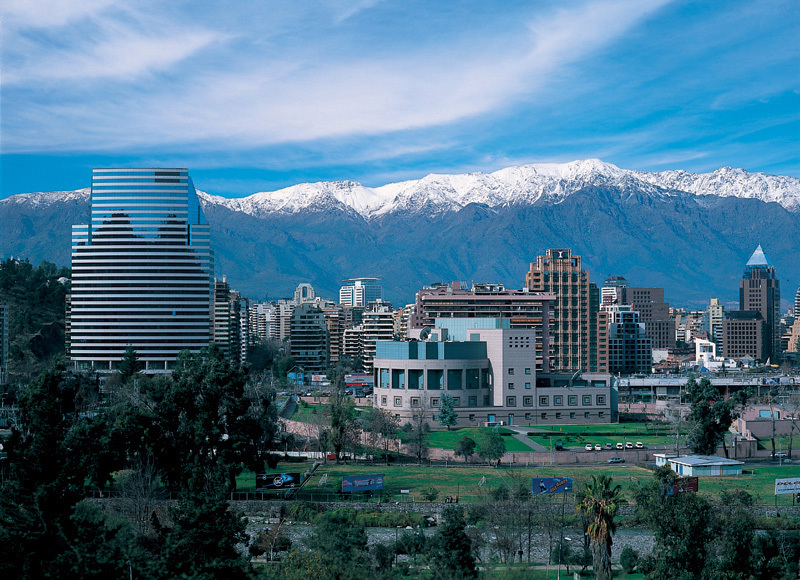 Chile's most famous literary contributions have been from Nobel Prize poets Pablo Neruda and Gabriela Mistral. Critic, novelist and playwright Ariel Dorfman has made contributions to Chilean art. Chilean folk music earned an international reputation with Violeta Parra and her children Angel and Isabel as singers and songwriters. Music groups such as Inti Illimani, Illapu and Congreso have depicted contemporary rock and folk music reflecting Chile. From July 12 to 18 La Tirana hosts one of the most important festivals celebrating the Virgin of Carmel, Chile's patron saint. The annual song festival, Internacional de la Cancion, is celebrated every year in February in Vina del Mar. The 'Cueca', where a man and woman dance together, twirling kerchiefs in the air, is the national dance of Chile, originating from peasant folklore. Chilean cuisine is a blend of Spanish cooking and indigenous ingredients, with influences of traditional European styles of cooking, particularly from Germany and Italy. Wine (Sangria) and Sour Pisco (brandy) usually accompanies the delicacies. Chilean cuisine is divided in three groups: Chilean North, South, and Central Coast. The most popular dishes are: Cazuela, Pastel de choclo, Lomo a lo pobre, Arroz con pollo, Curanto, Chupes, Fajitas, Manjar Blanco, and Porotos Granados. Most of these dishes are a mix of seafood, eggs, beef, chicken, onion, vegetables and potatoes. 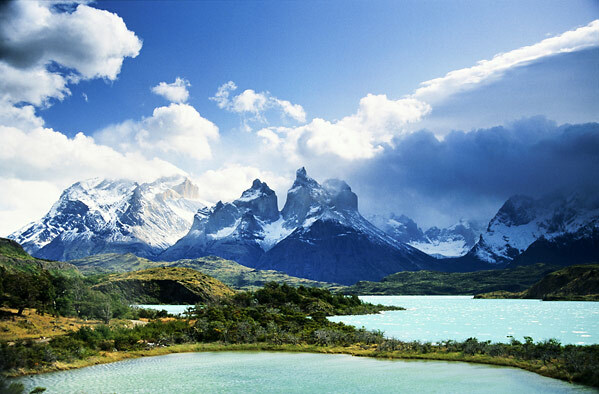 From volcanoes and forests to lakes and glaciers, only Chile offers such a unique and enjoyable South American vacation experience.